Once Google put the Google Assistant in a pair of Bose headphones a few months back, it was only a matter of time before Amazon did the same thing with its Alexa assistant. Today, Amazon announced that they are indeed entering the mobile accessory space with their smart assistant through the Alexa Mobile Accessory Kit. This new accessory kit will allow accessory makers to add Alexa to on-the-go devices, like hearables, headphones, smartwatches, fitness products, and almost anything else you can think of that could use Alexa. Amazon says that the kit lets OEMs add the tech with little investment. 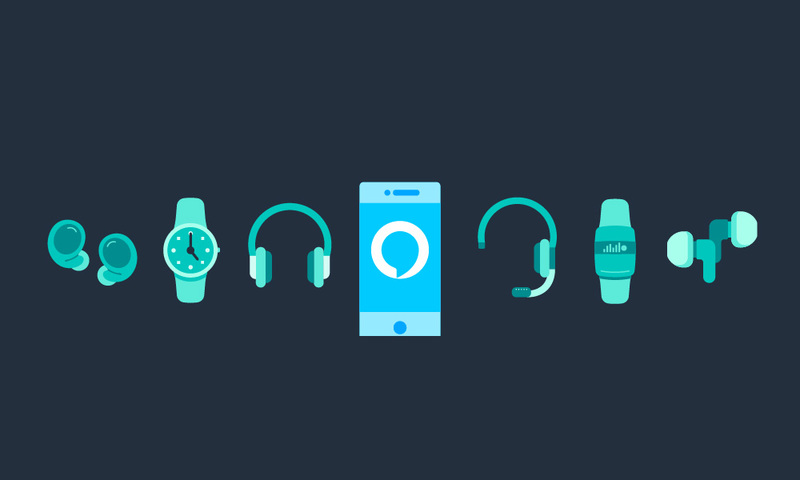 To use Alexa on something like a smartwatch or pair of headphones, Bluetooth will come into play, along with Alexa Voice Service through the Amazon Alexa app that you’ll find on both Android and iOS. Those items paired means control over smart homes, streaming media, all of the Alexa skills currently available, weather info, management of your calendar, etc. Think of Alexa-integration in a Bluetooth device like a portable Amazon Echo. When can you expect the first products? Amazon has already been working with partners, so don’t be surprised if we see some announced next week at CES. Companies like Bose, Jabra, iHome, and Beyerdynamic will have products available later this year with Alexa on board. Excited or are you already burned out on the assistant integration into everything?